Recently I had a customer drop off a six year old laptop that was turning itself off after 30 seconds. I first removed the hard drive to make sure her data was safe. I plugged it into a second computer and made sure I could view all the important documents. I then ran a diagnostics test to make sure the hard drive was physically running as it should. After determining that the customers data was safe, I continued to test the laptop. I ran a test on the ram and the computer was freezing during testing. I replaced the ram and it still continued to freeze. I called the customer and we decided that it was best to replace the laptop rather then spending more time and money on an aging laptop that could continue to give her trouble in the future. I called my suppliers and received a quote for a new lenovo laptop with windows 7. 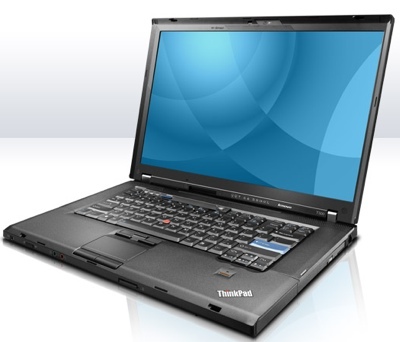 I had several brands of laptops to choose from but I liked the reliability and customer service from lenovo. After receiving confirmation from the customer I ordered in the new laptop. It was shipped to my office overnight and I started preparing the laptop the following day. I installed all the windows updates and any applications I thought the customer may need (acrobat reader, firefox, flash, java, antivirus). I then attached her old hard drive to the new laptop and copied all her data to the same locations on the new laptop. I imported her email and setup the account settings. After the new laptop was prepared I called the customer and setup a delivery time. When I arrived at the customers home we could not connect to the internet. She did not remember the wireless password for her router. I was able to connect the laptop with an Ethernet cable and reconfigure her wireless password. I connected her printer and gave her a lesson on the basics of windows 7. I also installed a remote access calling card icon on her laptop. This way if she has any problems after I leave she can give me call, click on the icon, and I can see her screen from my office.